An interesting Q and A in today’s Boston Globe traced social decay in the United States to the widening gap between the poorest and the richest. 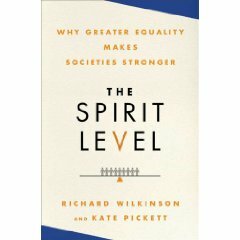 Kate Pickett and Richard Wilkinson, authors of “The Spirit Level,” posit that economic inequality is the root cause of problems like teen pregnancy, obesity, mental illness and crime — all of it fostered by divisive prejudice and rampant tension between the classes. People have asked what I’ve found most striking about the privileged enclave of Cambridge compared to my Roanoke, Va., hometown, a culturally and environmentally interesting place that also happens to be one of the most segregated places in the South, with 68 percent of the city schools’ children qualifying for free or reduced lunch (compared to the stage average of 29 percent). The Globe piece made me zero in on an intangible difference that’s been gnawing at me these past several months. I’ve noticed a surprisingly greater level of trust among strangers here in Yankeeland (with the huge exception of Boston-area drivers, who you can never, ever trust to stop for a red light or stop sign; note that I’m talking about trust, not necessarily manners). Maybe it’s because we’re in insulated Cambridge, the intellectual capital of the East Coast . There’s a great deal of diversity here, yes, but the diversity is more ethnically and more economically diverse. The lack of bureaucracy at Cambridge public schools is comparably stunning. For instance, when you check your kid out early from school, they don’t make you sign out at a computer. In fact, Donna — most of the secretaries are named Donna, for some reason — doesn’t even ask you to sign out. She just calls your kid down and waves you along. I loved that book, and I love that Roanoke’s undercurrent of groovyness seems to be widening by the minute. I just wish we could harness the same kind of excitement around improving our schools. Perhaps the No. 2 book on Roanoke’s Big Read list could be “The Spirit Level,” a book that could foster dialogue about the complex social inequities and poor educational opportunities that lie at the heart of our region’s slow growth and high dropout rate. Because the Roanoke I know and love is surely two cities, a place where the twain rarely meet — except on the inside of a cafeteria cage. 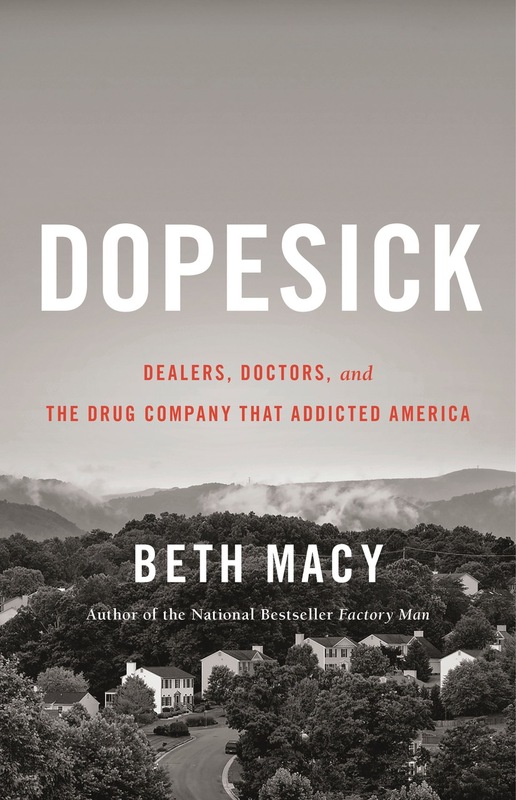 Beth – great observations. I think it’s difficult to understand the polarity existing here in Roanoke. I find it sad and disappointing. Miss you guys — be seeing you in the ‘hood before too long. Beth, great post. It hits home. I went to Harvard for graduate school but was raised by an unemployed single mom in Roanoke. It’s overwhelming to think of the contrasts, but one that sticks with me is around cars. In grad school, I didn’t have one, and neither did my mother when I was growing up. As a kid, it meant carrying groceries for a mile, walking past burnt out motels and redneck bars on Williamson Road, and taking the bus, which is a sign of absolute depravity in Roanoke and many other Southern cities. It meant telling friends that I literally could not physically make my way to their houses to visit. It branded my family. I’d say that there are more than two Roanokes, because even among the down-and-out, you find strata. Without a car, we were way down low. In Cambridge, the absence of wheels meant something very different. It was beyond common; it was a point of pride. There was no shoveling your car out and no moving it on street cleaning days. I could brag that I wasn’t filling the air with pollutants. I could hop the T or a bus without shame. I was an untethered urbanite breezing down city streets on clean-fueled public transit or my bike or the liberating power of my own two feet. Don’t get me wrong. Cambridge is not superior to Roanoke. It’s just wildly different. I almost feel as if I should have a visa or a passport to travel between them, at least something more than four working tires and a full tank of gas.